Prestige is a family run business located in the heart of Sussex. Our passion for camping and the freedom of nature has to lead us to turn our passion into your dream! 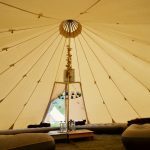 We specialise in Bell tent rentals for weddings, glamping and all corporate events, with Prestige you are always one peg away from paradise! 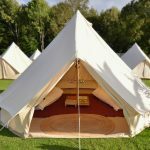 We supply 5 metre canvas bell tents that are fully waterproof and mould proof for up to 6 people so guests can fully immerse themselves in your special day or night with you, without the worry of organising transport or hotels at the end of the evening. Prestige bell tents take a “no surprise” approach to our relationship with our customers and therefore ensure there are no hidden costs. Please see our price list that can be tailored to your requirements. To take the stress away from you, here at Prestige we are more than happy to take payment and deal with your guests directly. We look forward to helping your unique event or special day become pitch perfect!